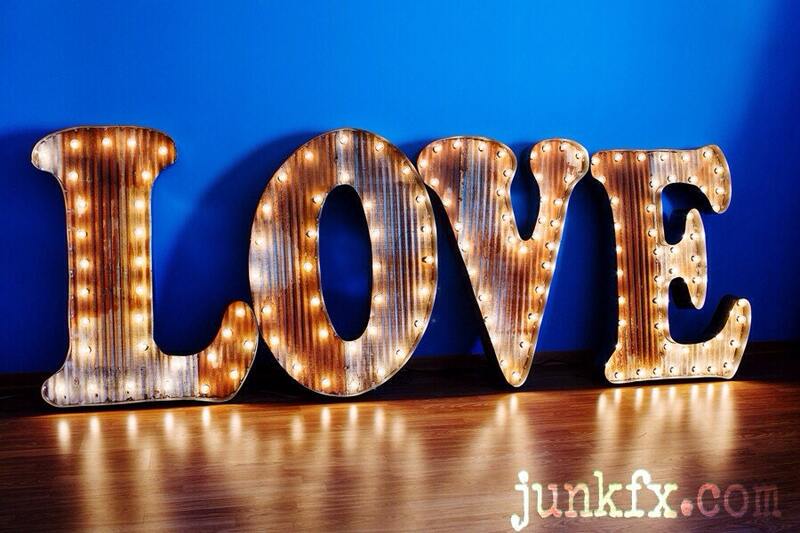 48 inch tall lighted marquee LOVE light. Each letter is stand alone so you can move them anywhere you want. Comes with commercial sockets and all wire is UL Listed the safest there is. There are hidden hangers on the back of each light. We make custom signs. Give me a call and I can do a sign for you.